Toyohara Chikanobu (1838 - 1912) Neck wrestling Between Kabuki Characters, 1881. Oban Triptych. 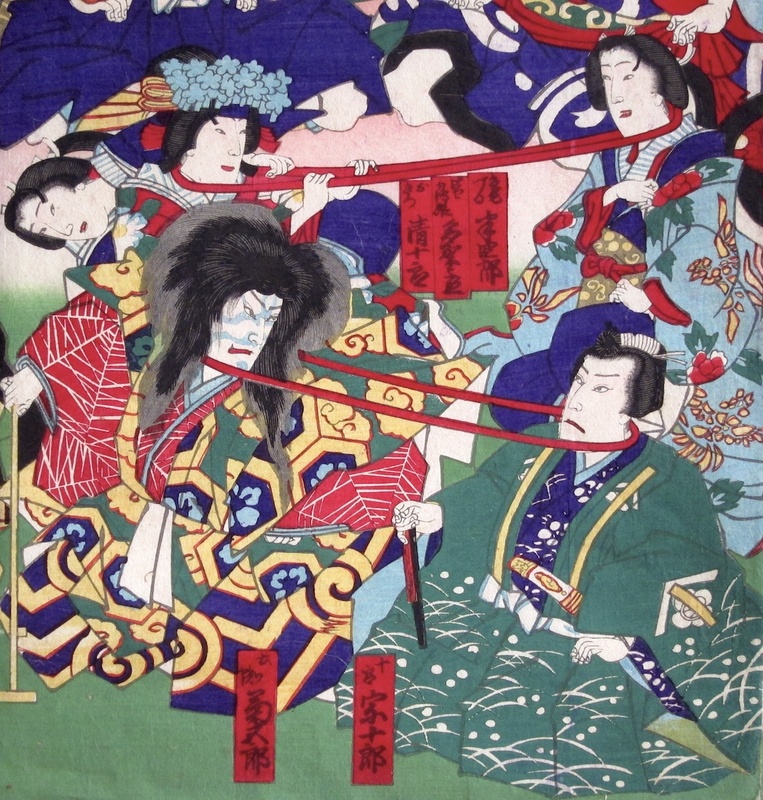 This unusual triptych by Chikanobu is a compendium of well known kabuki characters involved in a now forgotten sport called kubipiki or neck wrestling. Almost nothing is known of the practice other than it had its origin in China and there exist only a handful of references to the sport and one or two instances in woodblock prints. This makes this print rather rare - almost unique in fact. The only other illustrations we can find show the contestants battling with demons. One can only assume that the rules are as illustrated - a thick cord goes around the necks of two competitors and the one who has the stronger neck and can pull the other over is the winner. It is not hard to see, given the potential for severe injury, why the sport fell out of favour. 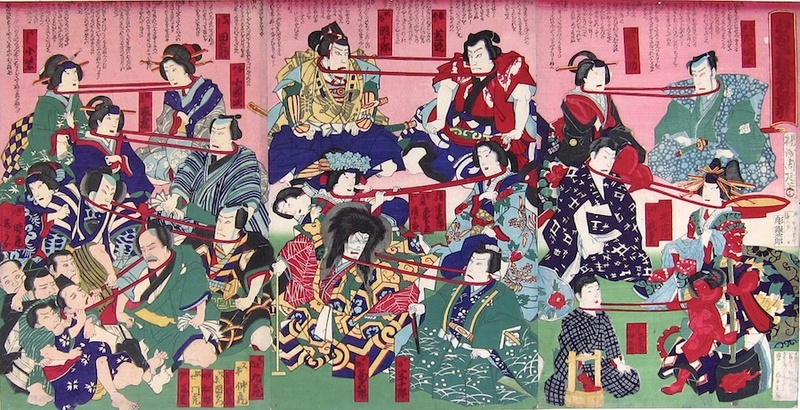 Chikanobu shows a group of well known characters from the kabuki stage arranged anomalously together as if for a party. Kintaro appears bottom right and there are appearances by Hanbei, Princess Yaegaki and other heroes. The print is very collectible due to the subject matter, and is in very good condition. The colour and impression are both fine. I know of no other copy of this print. Published by Matsuki Heikichi.